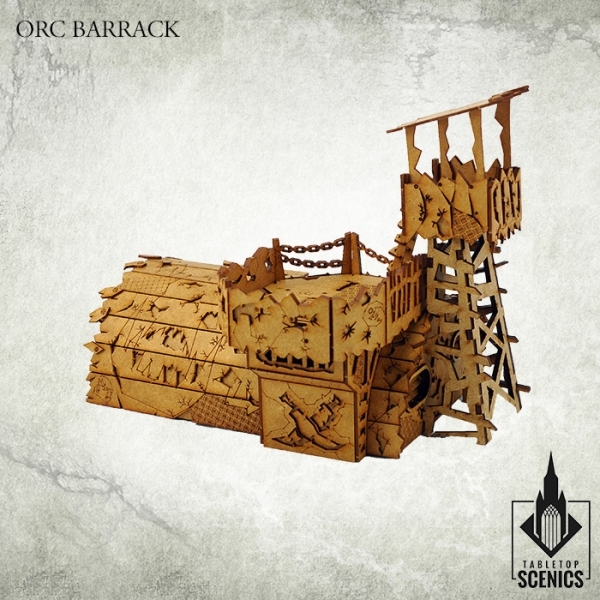 Contents of this frames may be used to make 1 Orc Barrack. 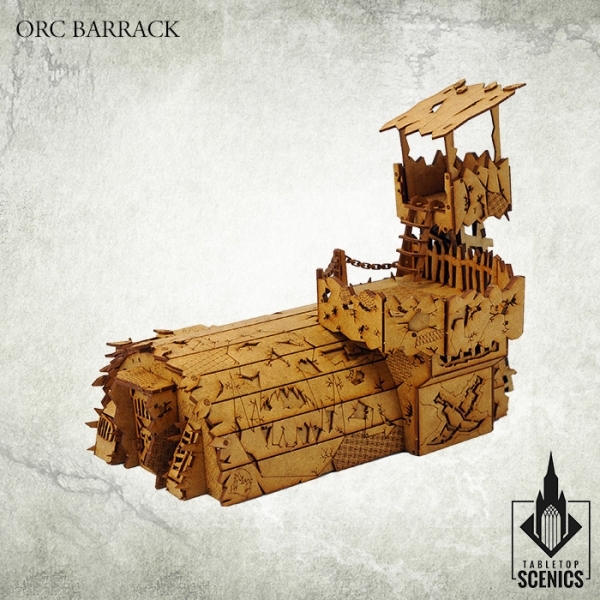 Dimensions: width 23cm, depth 17cm, height 17cm. 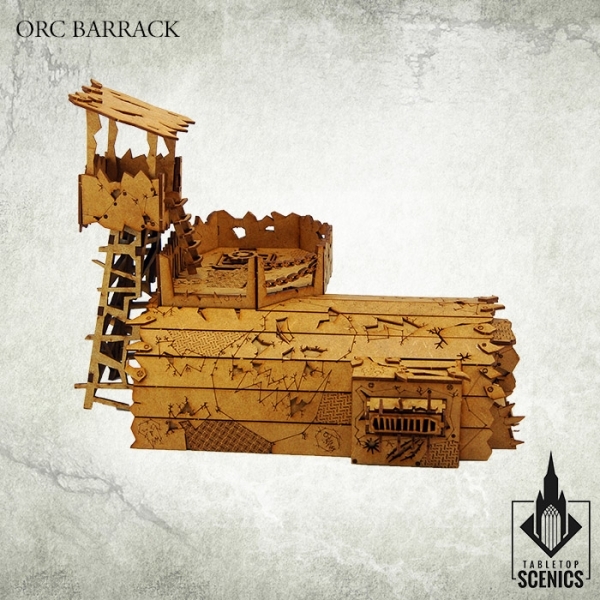 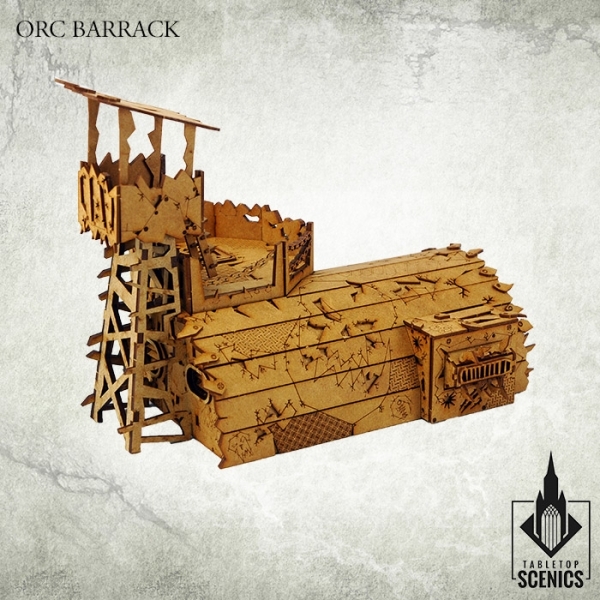 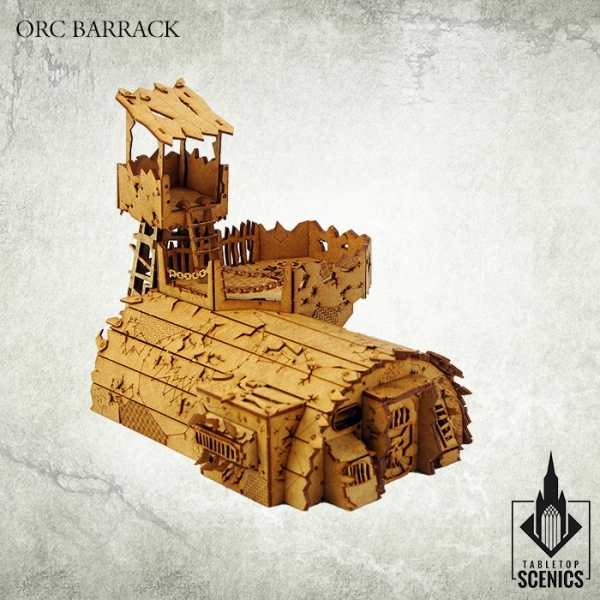 Orc barracks are quickly raised, most common orc buildings - seen both on the outskirts and central districts of Orc Strongholds. 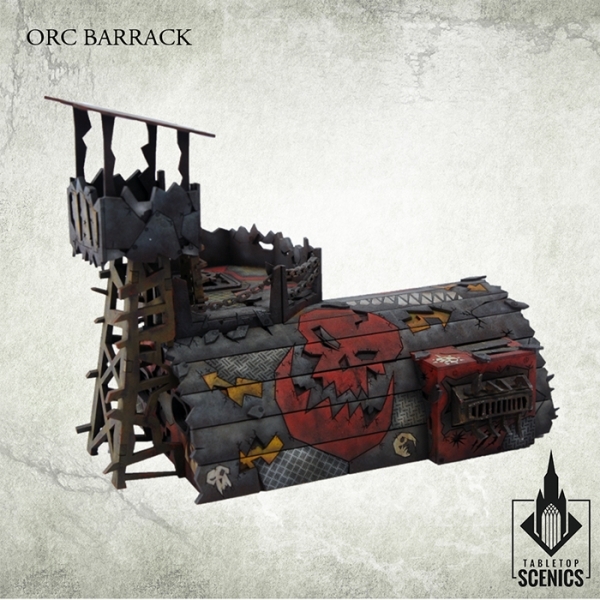 Fitted with watchtowers and easily accesible rooftop, these comfy residence can also take a role of firing platform for its inhabitants. Large enough to accomodate dozen of orcs, Barracks are core buildings of amassing horde.